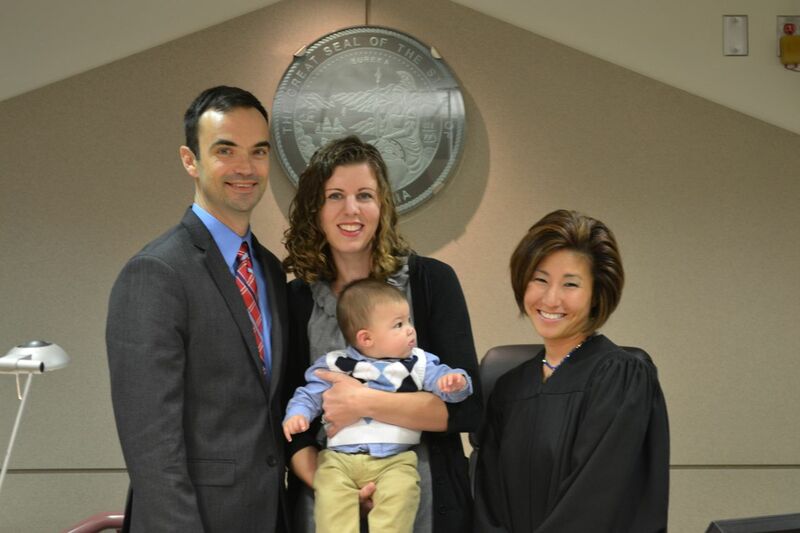 Month 7 was a big one for us, mainly because we were able to legally finalize Owen’s adoption! It is such a relief to know that he is permanently OURS! 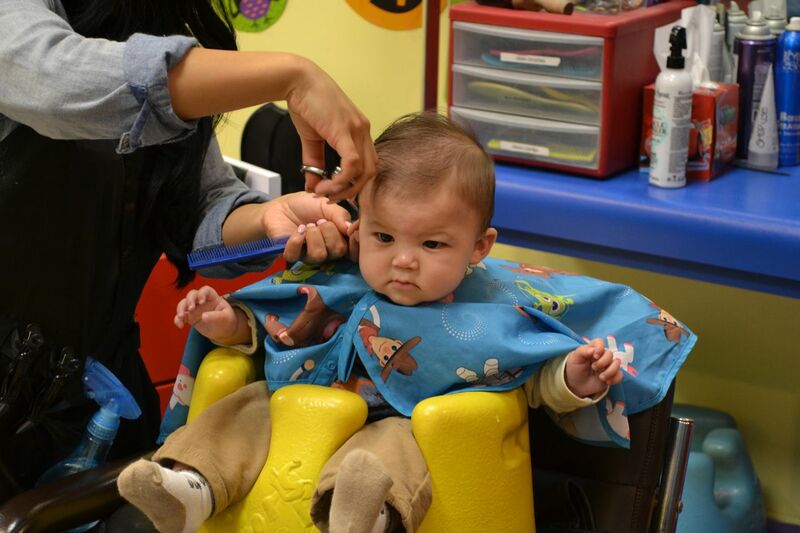 October also brought Owen’s first haircut and his first Halloween. He did great at the kids’ salon and sat so still! Harry and Hedwig had a great Halloween! 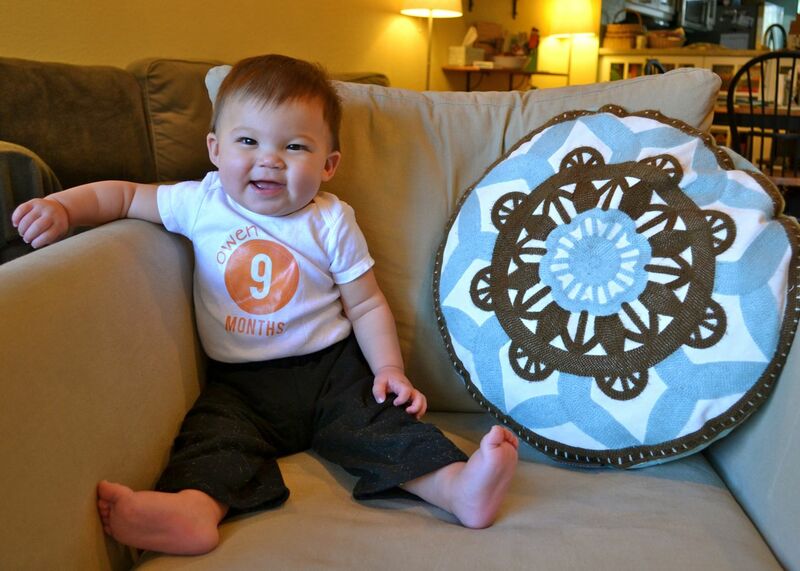 Halloween also marked his 7th “month-day.” He’s getting so big! Vital stats: 18 lb with clothes on; 28″ long. 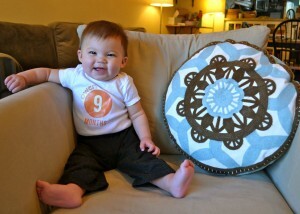 Wearing 9-month clothes, although some of them are getting too small and he fits in a few 12-month outfits (whoa!). Likes: Lucy, as always! Owen also likes story time at the library, baths, babbling, rolling like a log, “crawling” (more like inch-worming), shopping with mommy (especially when he gets to ride in the cart). 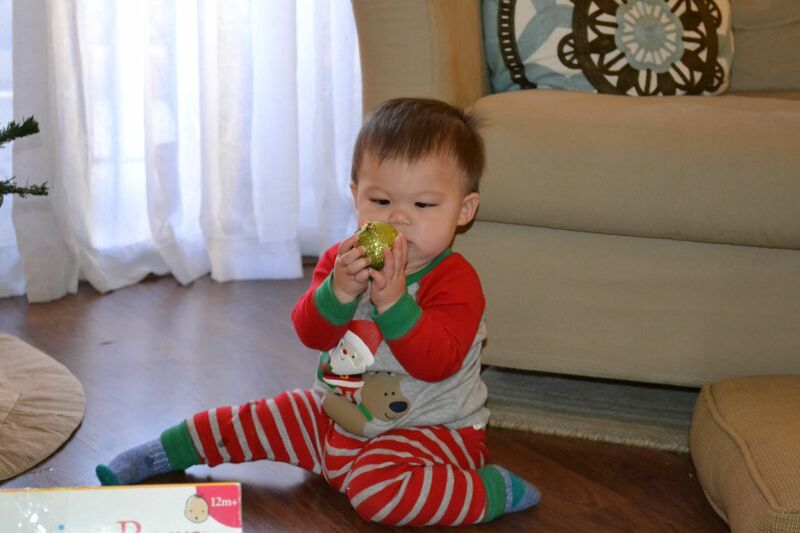 Food-wise, we’ve found that he enjoys bananas, butternut squash, and peas. Dislikes: His car seat, sleeping (sigh), not being able to play with our phones/remotes/tablets/computers. Accomplishments: Owen is also soooo close to crawling, and has even started pulling up and cruising on furniture (ack!). He is also babbling a lot and can say “mama” and “baba” (although we don’t think he really associates those sounds with actual concepts yet). 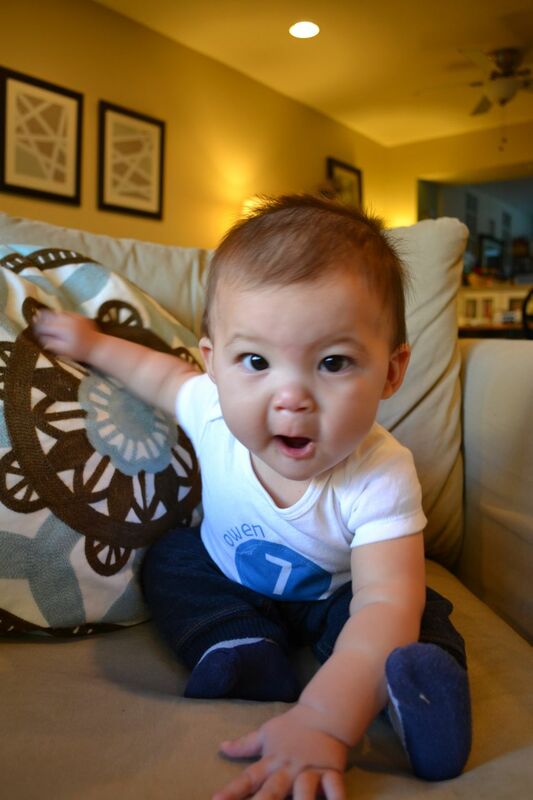 Challenges: Now that he’s getting more mobile, Owen is starting to get frustrated with his limitations. That means lots of whining when he can’t reach what he wants or get to where he wants to go! I love seeing how much our little guy has grown and developed, but it sure it bittersweet to realize how big he’s getting. I miss my sweet, snuggly little newborn! Well, I’m a few weeks late on this, but Owen recently had his fourth “month-day”! This past month has been my favorite so far. 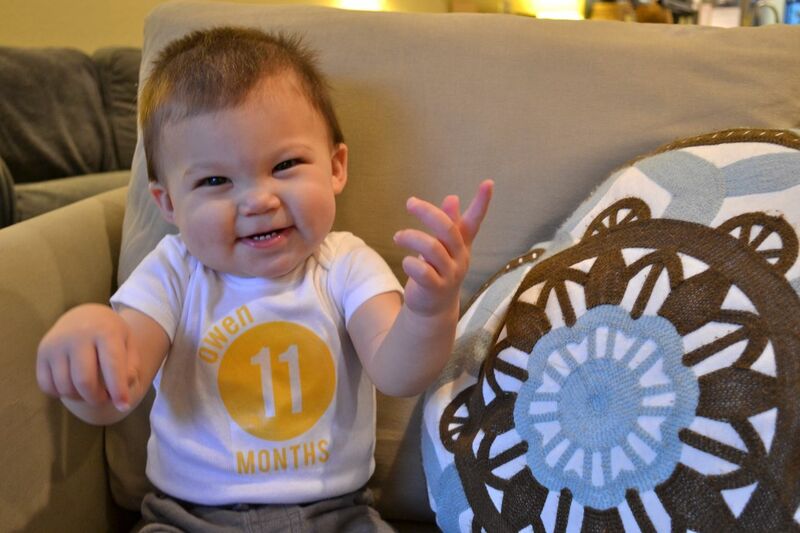 He’s just such a fun, happy baby, and he’s learning and growing so much! My sweet, charming, handsome boy! Vital stats: 15 lb, 3 oz; 26″ long. 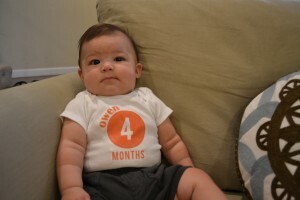 Wearing 6 month clothes (and some 9-month sleepers and onesies–he has a crazy-long torso!). Likes: Baths, giggling, singing at church, watching Lucy and laughing at her antics (soooo cute), talking to mommy and daddy, grabbing EVERYTHING and putting it all in his mouth, going for walks, being held in the Ergo, and rubbing his fingers over things to feel textures. And he’s finally started to like tummy time now that he can hold himself up for longer stretches of time! Dislikes: Loud noises (he screams in terror, poor baby), being hungry, his car seat, and vaccinations (those 4-month shots were brutal). Accomplishments: Long belly laughs, pushing objects off the table, rolling over both ways, and sleeping through the night somewhat consistently! Challenges: Owen is a horrible napper. He typically only takes 2 (sometimes 3) 20-30 minute naps during the day, which makes it hard to get things done during the day, especially since he doesn’t like to be put down for more than a few minutes at a time. I need to remind myself everyday that spending time with my him is more important than getting the laundry done or the floor swept! I can’t believe how big my baby is getting. Time is flying way too quickly! 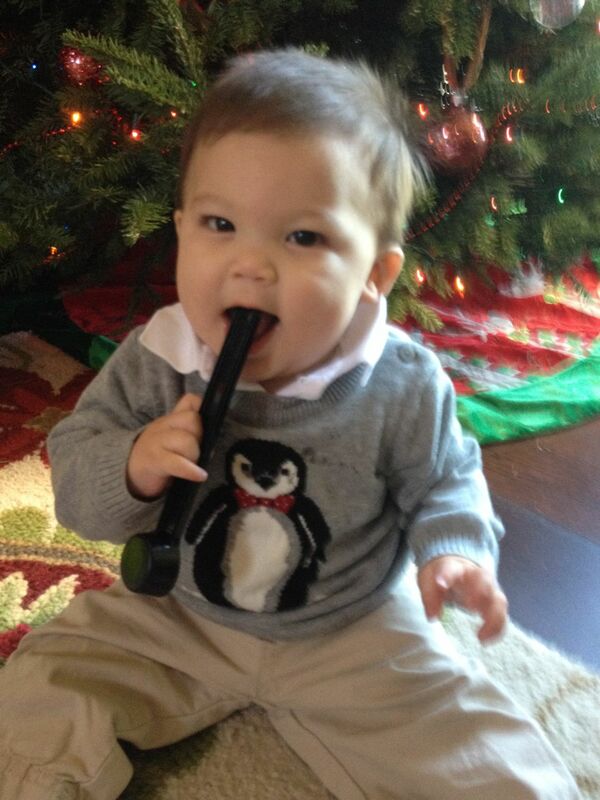 Wow, I can hardly believe my little guy is 25% of the way to his first birthday! Time goes way too fast. The fact that he gets more and more adorable every day helps, though. See what I mean? Vital stats: 14 lb, 6 oz; 24.5″ long. Wearing 3-6 month clothes. Likes: Baths, eating, singing, talking to mommy and daddy, grabbing toys, chewing his hands, playing peekaboo. 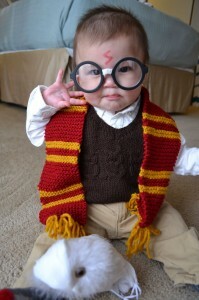 Dislikes: Tummy time, being hungry, pacifiers. Owen has also decided he’s no longer a fan of his activity mat for some reason, unfortunately. 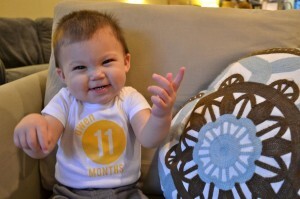 Accomplishments: Giggling (soooo cute! ), drooling, grabbing toys and putting them in his mouth. Owen is *this close* to rolling from back to front, too! He pulls up his legs and turns on to his side almost every time we put him down on his back. Challenges: Nighttime sleep is a challenge…we can’t swaddle Owen anymore because he’s too strong and too close to rolling over, so he wakes himself up at least 3 times per night. I know it will get better soon, though! 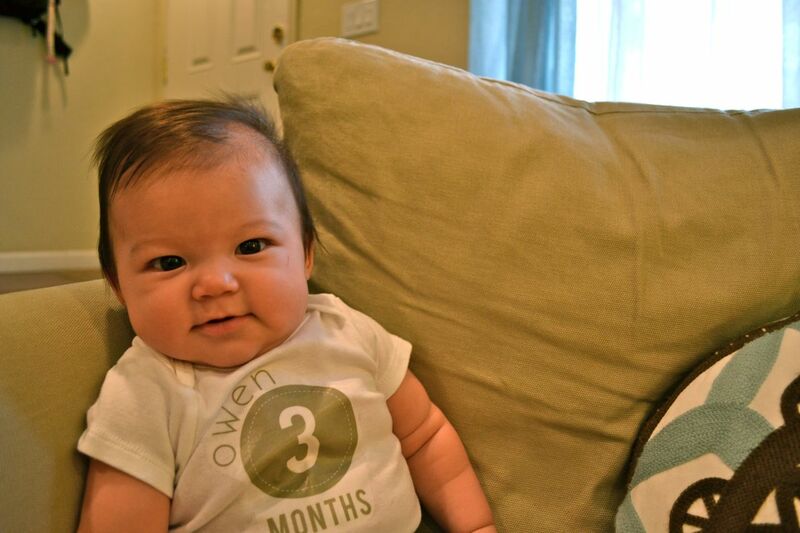 We are so blessed to be Owen’s parents. We love our happy baby!